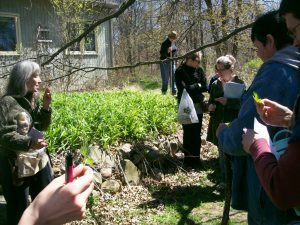 We will roam the land together, finding lots of edible and medicinal plants & mushrooms that are growing in this springtime! Lawns, meadow and woods. Learn about uses of these spring wonders. We expect fiddlehead fern, mushrooms, nettles, and many more. Taste test some of them, and if you wish dig up and take some plants home where there is abundance. Bring some plastic bags/containers/shovel if you would like to do that, or we have some here. 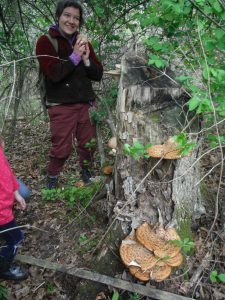 This class also includes a shiitake mushroom log inoculation demonstration ! Sunday, May 5, 2019 from 1:00 – 5:00 pm.